Most drivers understand that driving under the influence penalties increase when a person has prior DUI convictions on their record. In fact, the fourth DUI offense within a ten year period can be charged as a felony and those convicted can be sentenced to prison. 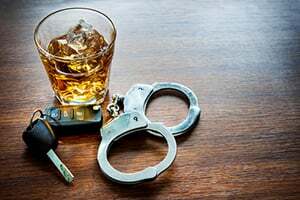 While many drivers believe they only have to worry about DUI convictions occurring within the last ten years, prosecutors and law enforcement officers are aware of all DUI convictions on a driver’s record. Because of this, old DUI convictions can be harmful to a defendant’s current case regardless of when they occurred. Under the law, mandatory sentencing provisions apply to defendants who are charged with DUI and who had one or more DUI conviction that occurred within the previous ten years. The conviction does not have to be for DUI and even reduced DUI charges such as wet reckless pursuant to California Vehicle Code Section 23103/23103.5 VC would count as a DUI for enhancement purposes. In addition, DUI and wet reckless convictions that were expunged pursuant to California Penal Code Section 1203.4 PC would also count as priors when considering a defendant’s current DUI charges. Prior DUI convictions will trigger mandatory sentencing provisions on subsequent DUI cases. For a defendant’s second DUI, the law requires a mandatory 96 hours in jail, an 18-month alcohol education class and a yearlong license suspension. Drivers with two prior DUIs within the previous ten years face at least 120 days in jail and other criminal penalties. A fourth DUI is a felony that can result in a prison sentence. In some cases, more than ten years may have passed since the defendant’s last DUI incident. While the law may technically treat the new DUI offense as a “first offense,” prosecutors and judges see this very differently. Prosecutors are very concerned with drivers who have prior DUI convictions, regardless of when they occurred. There is a concern that these drivers are unable or unwilling to refrain from driving drunk and therefore pose a serious threat to the general public. Even with DUI convictions falling beyond the 10-year lookback period, prosecutors may request conditions of bail such as requiring the defendant to attend Alcoholics Anonymous meetings or requiring him or her to wear a alcohol monitoring device from SCRAM or another provider that would alert the court of any alcohol use by the defendant. Prosecutors also tend to seek harsher penalties for defendants with prior DUI convictions, including jail time, longer alcohol education programs, mandatory IID installation and/or license suspensions, expensive court fines and community labor/community service. In some cases, having a prior felony DUI conviction will automatically result in any subsequent offense being charged as a felony regardless of when the first conviction occurred. Under California Vehicle Code Section 233550.5(a) VC, a person is guilty of a felony if he or she is convicted of driving under the influence and was previously convicted of a felony level DUI in the previous ten years. In addition, if the defendant was convicted of gross vehicular manslaughter while under the influence in violation of California Penal Code Section 191.5(a) PC, vehicular manslaughter while under the influence pursuant to California Penal Code Section 191.5(b) PC or vehicular manslaughter involving a vessel under California Penal Code Section 192.5(a) PC he or she can be charged with a felony for any subsequent DUI regardless of when the previous felony occurred. If you have been charged with DUI and are concerned about old DUI convictions on your record, it is imperative that you speak with a DUI attorney right away. As a former Deputy District Attorney with over 14 years of prosecutorial experience, Michael Kraut understands how to effectively defend those charged with DUI crimes. For more information about Los Angeles DUI and old DUI convictions, and to schedule your free consultation, contact us at the Kraut Law Group located at 6255 Sunset Boulevard, Suite 1480, Los Angeles, CA 90028. Mr. Kraut can be reached 24/7 at 888-334-6344 or 323-464-6453.